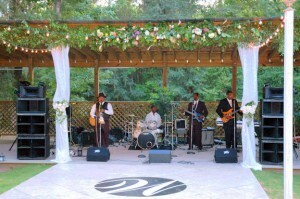 Book a picturesque setting rich in Alabama Black Belt history for your next event! 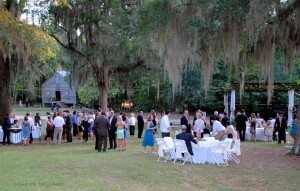 The historic Kenan’s Mill property is available for parties, meetings, weddings, receptions, reunions and more. The park is located just a short distance from County Road 37 and only 1.5 miles north of U.S. Highway 80. Listen to the water rush across the dam on Valley Creek as you dine beneath trees draped with Spanish Moss or on the convenient, covered pavilion. The 1860’s gristmill and surroundings make beautiful backdrops for memorable photographs. Meet at the mill house, which is equipped with a small kitchen, conference room and meeting rooms. There is also plenty of room for outdoor activities. Modern restrooms are available in the recently constructed red barn (which is wheelchair accessible). These include an 8-hour time frame on day of wedding (within 9 am to 9 pm limit), use of Mill House by bridal party only to dress, 2-hour rehearsal or decorating time day prior to event, as well as access for one 2-hour photo shoot session prior to the wedding. Events outside the 9-9 time frame will require $50 per hour additional fee. Extra time for decorating, photo sessions or cleanup in addition to above will be charged at $50 per hour. The house kitchen can be used for caterer set-up or for serving refreshments, but no ice is provided and no coolers are provided. Kitchen equipment includes a refrigerator, range, microwave, and dishwasher. All other cooking and serving equipment must be provided by renter. Tables and chairs in the house may not be taken outdoors. Any tables and chairs needed for outdoor use must be provided by the renter. All garbage must be removed on the day of the event or $100 deposit will be forfeited. Email KenansMill@historicselma.org to inquire about fees for Admission-Charged Events. Renters will be required to execute a single-use rental agreement. Click here to download the Rental Agreement and Kenan’s Mill Fee Schedule. To ask questions or reserve a date, please email kenansmill@historicselma.org.